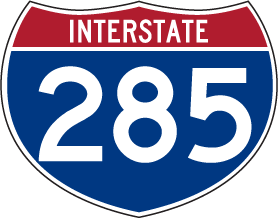 Welcome to the 285 podcast page! This week we recorded our very first podcast and took some time to reflect on the icon that was Muhammad Ali who passed at the age of 74. There are few words that could accurately describe the impact Ali had on society but we gave it a shot. We also talked about the most famous Gorilla of the past few weeks, Hirambe (may he rest in peace.) We answered the question what is the saddest part of this story and did the animal get a raw deal? Our roundtable also discussed the remake of Roots as well as were we think Kevin Durant will end up next season. All of these topics and more were discussed on our inugural podcast and we also gave out the first 285 awards. Donald Trump – For talking out of both sides of his mouth. He sends a tweet saying how Muhammad Ali was a great man when months prior he ripped President Obama after he said some Muslims were our sports heroes. Tyronne Lue – For allowing Shaun “I’m on my 3rd knee” Livingston to dismantle the Cavs in game 1. 74 – The number of years Ali was on this earth. 12 – The number of bad reviews Tarik saw before going to see X-men. 1946 – The year in which Ali was born. All this and more on the latest edition of The 285 Podcast. Listen to this weeks Podcast here.